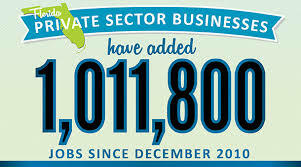 One Million New Jobs – and Counting! Thanks for listening to the Bob Harden Show. On Tuesday’s show, we discuss the Omnibus Budget Bill and its impact on the economy with Contributing Editor to Barron’s Jim McTague. We discuss the creation of one million jobs in Florida since 2010 and the Governor’s agenda for the state with our State Representative Kathleen Passidomo. We discuss the impact of nutrition on emotional problems with the Founder of Best Self USA Rev. Sam Sewell. We also visit with Boo Mortenson. We have great guests lined up for Wednesday’s show, including the Chairman of the Cato Institute Bob Levy, University of Houston Professor Larry Bell, former Ambassador to the Vatican Francis Rooney, and local author Andrew Joppa.